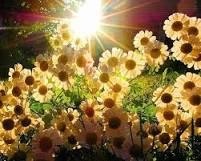 As summer fast-approaches, not only do May’s flowers bloom, but the sun’s ultraviolet (UV) rays also intensify, and daylight hours extend. So, it is fitting that May is skin cancer awareness month. Because bottom line – UV, in high doses, is a carcinogenic to the skin. While skin cancer is the most common form of cancer in the United States, it is also one of the most preventable forms of cancer in the majority of cases. The Skin Cancer Foundation appointed May as Skin Cancer Awareness Month to broadly educate the public about preventive measures. Seek the shade, especially between 10 AM and 4 PM when the sun is strongest. Use the “shadow rule.” If your shadow is shorter than you are, the sun’s harmful ultraviolet (UV) radiation is stronger. A person’s risk for melanoma, the deadliest form of skin cancer, doubles if he or she had had five or more sunburns at any point in life. Severe burns not only significantly increase your chances of developing skin cancer, but can make you ill.
UV radiation from tanning machines is known to cause cancer in humans. Indoor UV tanners are 74 percent more likely to develop melanoma, the deadliest form of skin cancer, than those who have never tanned indoors. Tanning bed users are 2.5 times more likely to develop squamous cell carcinoma and 1.5 times more likely to develop basal cell carcinoma. Clothing can be your most effective form of sun protection – wear a broad-brimmed hat and UV-blocking sunglasses. Densely woven and bright- or dark-colored fabrics offer the best defense. One six-ounce bottle of sunscreen should provide two full days of sun protection for prolonged outdoor activity. Keep newborns out of the sun since their skin is extremely vulnerable. Sunscreens should be used on babies over the age of six months. Children are very sensitive to ultraviolet radiation- just one severe sunburn in childhood doubles the chances of developing melanoma later in life. If you notice any change in an existing mole or discover a new one that looks suspicious, see a physician immediately. Here’s how to perform self-examination and spot a skin cancer. *My two cents: ideally, have a full-body skin exam by a local dermatologist.